If you are thinking about buying a swimming pool for your home, there are lots of different aspects to that decision process which you should be considering. This article will take you through the most important ones and so hopefully make the process easier for you. Perhaps the first thing to consider is how you are going to actually use your swimming pool. Are you dreaming about a fully covered, fully heated, year-round pool or do you really see something that is a place where you and your family can relax and play during just the hottest few months of the year? Is exercise the primary function, in which case a lap-pool might give you everything you need for a little less money in a little less space. Do you want to be able to dive into your pool? Above-ground pools are seldom ever more than 6 feet deep and so just aren’t appropriate for high-board high-jinx. If you see yourself sprawled on a sun-lounger by the pool while your partner is working at the barbecue then once again, only an in-ground pool really gives you that pool-side environment, but if you want to just be hearing your children splash and play before you yourself take a cooling dip then an above-ground pool may fit the bill perfectly. So take some time to realistically imagine what sort of pleasure you plan to get from what was once that most ‘Hollywood’ of home luxuries: your very own swimming pool. Where should you put your toe in the water? Planning any project means that things will go more smoothly and choosing, buying and building a swimming pool is obviously no exception. Most outdoor pools built outside areas of outstanding beauty in the UK will not need planning permission, but obviously if you are thinking of a pool which is attached to your house or a pool with a full-height cover or pool building then that is a different matter. Other planning questions that you should address are those more practical aspects of the job itself. A pool for the whole family to enjoy should really be at least 3.5 metres by 7.5 metres. If you are thinking about an in-ground pool then let’s say it’s 2.5 meters deep. That is a lot of earth to excavate so ideally you need to have good access to the site for contractors and machines. Will that earth have to be carried off-site or could it be used to landscape the finished pool? In fact the site you have available for your pool will probably influence more of your buying choices than almost anything else. A long, thin, lap-pool might fit in a space unsuitable for anything else. A swimming pool with a counter-current unit will let you swim effectively in a pool as small as 2.5 by 4 metres. An above-ground pool and some attractive decking may well be a practical option on a site where access is seriously limited. Everyone has a budget. It might be a little or a lot, or somewhere in between, but every swimming pool is built to a budget. Buying an above-ground pool is cheaper. An above-ground, DIY pool kit of either wooden or galvanised steel panels can be installed from as little as £5,000. It is true that you’ll need some basic building skills and probably the help of a few friends but you will have the satisfaction of achieving your dream at a minimum cost. It’s a pleasure that will last as well; a top-end above-ground pool can last up to 20 years if well maintained. Swimmer Pool Kits contain everything that will be necessary for the pool of your dreams. The pool itself is built from modular side panels that quickly lock together and are supported by X-frame buttresses. The actual walls of your pool can go up in just a few hours. If you don’t fancy doing it all yourself then a professional pool installer can erect an above-ground pool for you in as little as a couple of days. They will also help with the planning and give you all the advice that you might need. We can help you get in touch with the most appropriate pool professional in your area. In fact you’ll see that there is a ‘Get a quote’ button just to the right of this article. Buying an in-ground pool is more expensive. Excavating at least 70 cubic metres of earth and pouring several hundred tons of concrete is obviously well outside a DIY task, so a professional supplier is a given. For a concrete tiled pool, prices start at about £30,000. That will cover the pool itself, pipe work, filters and pumps but not the cost of the excavation or soil removal as these costs can vary so hugely from site to site. Work out your budget. Decide how much you want to invest in having your own swimming pool and then let us help you contact a reliable pool supplier to help you use that money as wisely as possible. Your new swimming pool is also obviously going to cost something to run and maintain. When we think about running costs these days, many people include some thought to minimising the cost to the environment. So can a pool be environmentally friendly? Yes, it can. Having a cover on your pool whenever it isn’t in use will reduce heat loss by up to 75% as well as reducing the amount of chemicals that need to be used to keep the water clean. A DEL slatted cover will help keep your pool free of dirt and debris, cut down evaporation and therefore chemical use and can also be locked in place as a safety cover. All DEL slatted covers can incorporate locking devices to significantly improve the safety of your pool when not in use and unattended. Typically a heated pool is kept at between 25 and 28 °C. That heating can be supplied by eco friendly methods including solar panels and solar thermal tubes. There is even a new generation of variable speed pumps such as the Eco Touch from Badu that will cut your filtration times as well as saving energy. Traditionally chemicals have to be used to keep the water clean, but it is now possible to use ozone rather than chlorine to keep your water in a sanitised condition. For an average size pool, treating the water will cost about £200 per year in chemicals and filters. For that same pool, the cost of heating it just during the summer might range from £450 if you choose to buy natural gas heaters, to £1000 if you are using electric heaters. A Duratech heat pump which draws heat from the surrounding air might cost as little as £250 to run for the same season. DURA+ models are suited to UK climate and able to provide all year heating capability. In fact, the DURA+ heat pump can pay for itself in just a few years with the cost savings. Buying a swimming pool is a big decision and getting it right is going to be influenced by a lot of separate factors. 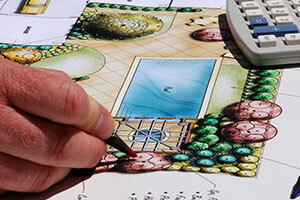 Most people will only buy a pool once in their lives, whereas a professional supplier will have years of experience and the knowledge gained from hundreds of separate projects to draw on. As you have found and read this article, you are obviously doing some research into what sorts of choices are available and which are the best ones for you. We hope this article has been helpful and we would be happy to answer more specific questions or to help you get in touch with a pool provider in your area. You’ll find other articles on this site that go into the areas above in greater depth as well as addressing other aspects of choosing, buying and running a pool. So go on, jump in.